Present state: Both platforms and all station buildings are extant although the trackbed between the platforms has been infilled although the platform edges are still visible. The station has been restored including a new canopy on the main building on the up platform and a station sign on the down platform. The waiting rooms have been converted into two holiday cottages. 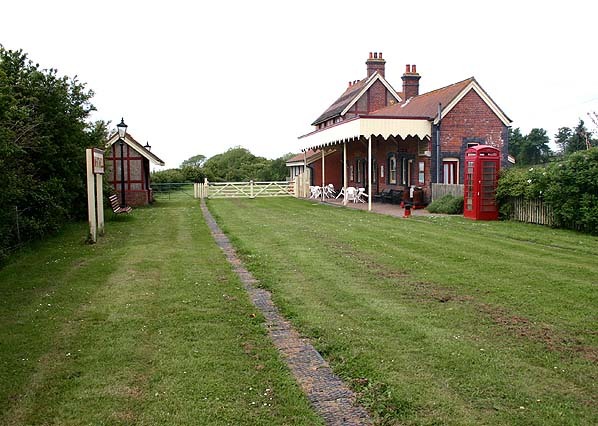 Notes: Whitwell was the only station on the line to have a passing loop and two platforms. 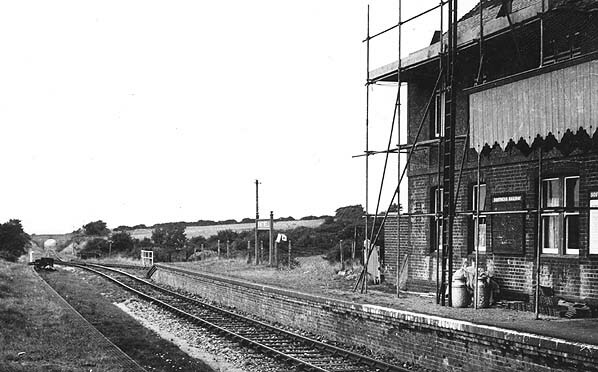 The main station buildings are on the up platform with a small waiting shelter on the down platform. There was a small goods yard and loading dock on the down side. 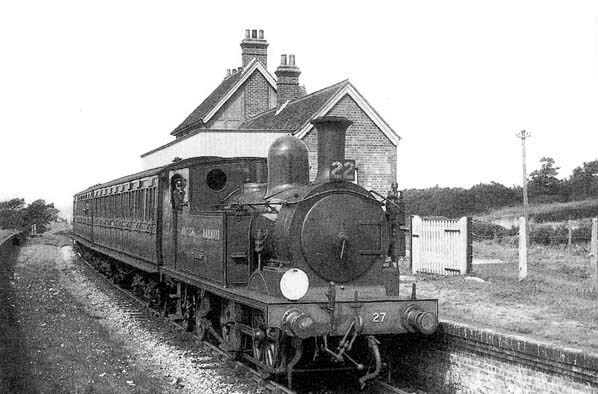 The NG & SLR was taken over by the IWCR in 1913 but despite all efforts to attract passengers the route to Ventnor by the Isle of Wight Railway was always more direct and more popular. 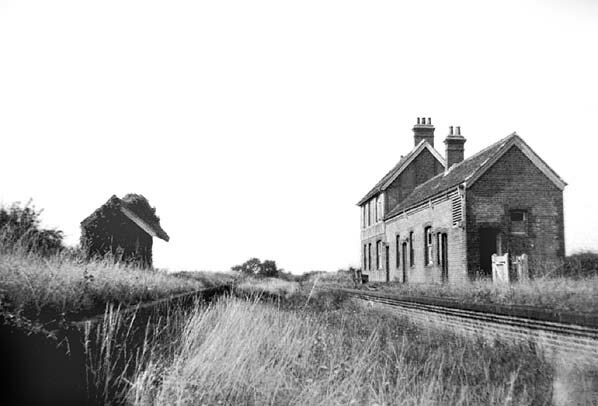 After the Southern Railway takeover in 1923 economies were made and with the small amount of traffic the passing loop could no longer be justified and this was taken out of use in 1926 and the signal box was closed. 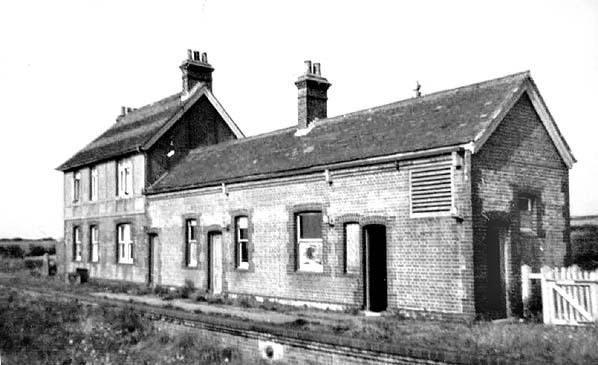 The station was downgraded to 'partially unstaffed' (summer season only) on 16.3.1928 and further downgraded to an unstaffed halt and goods depot on 1.7.1941. 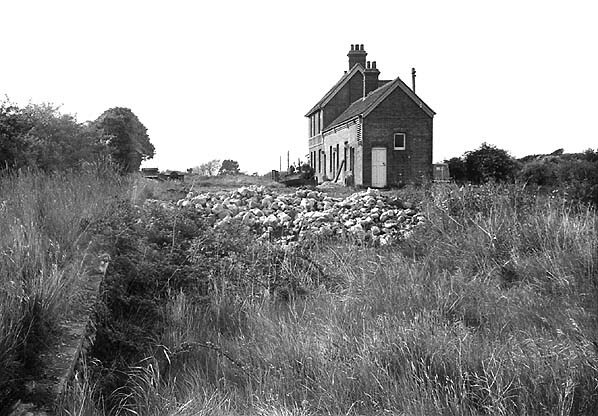 Whitwell station looking north in the early 1950's; the passsing loop has been lifted. 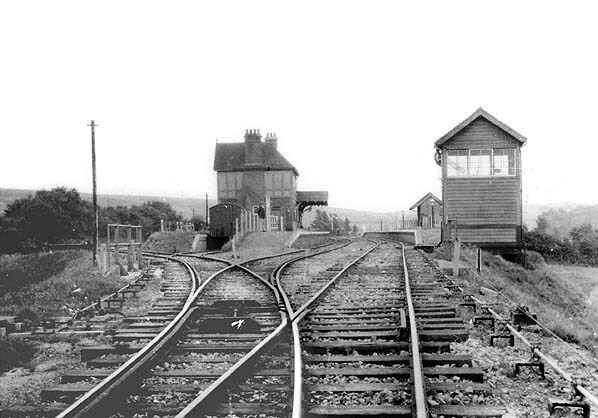 Whitwell station looking north c. 1964.